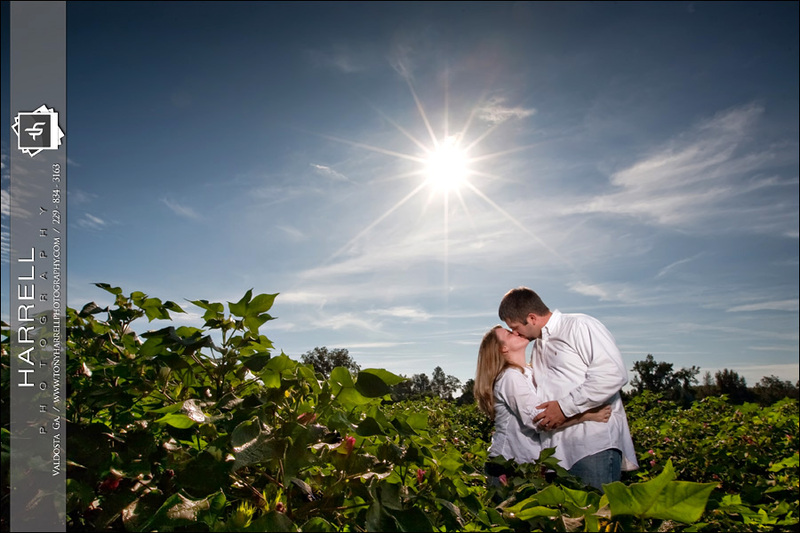 We’re bustin’ out another e-session! Meet Kristy and Jay! They’re getting married in November. Sure, they look full of energy in the following images – but they were dead tired! Jay and Kristy closed on their first home last week (congrats guys), and had been moving in/cleaning/etc the night before our session. Being pretty darn awesome – they put up with our bad puns, dodging cars and trucks, and trips into cotton fields to get some awesome shots! 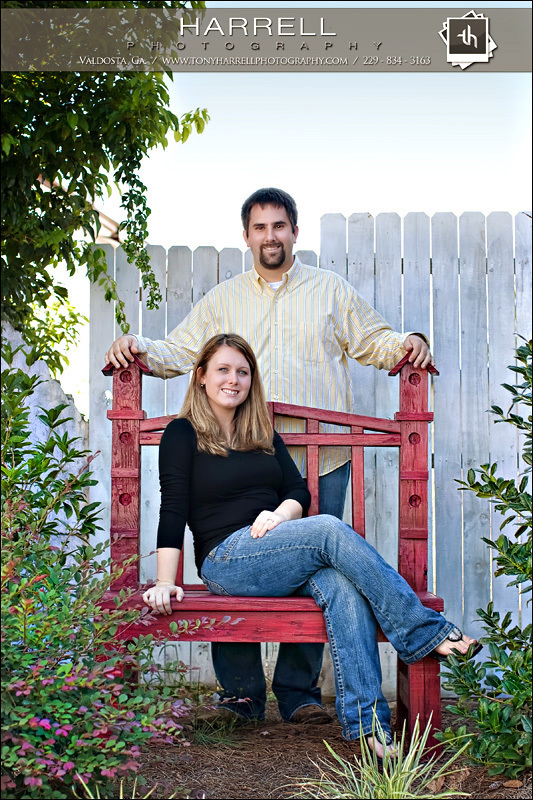 Kristy found this cool red chair in downtown Adel. They worked it. 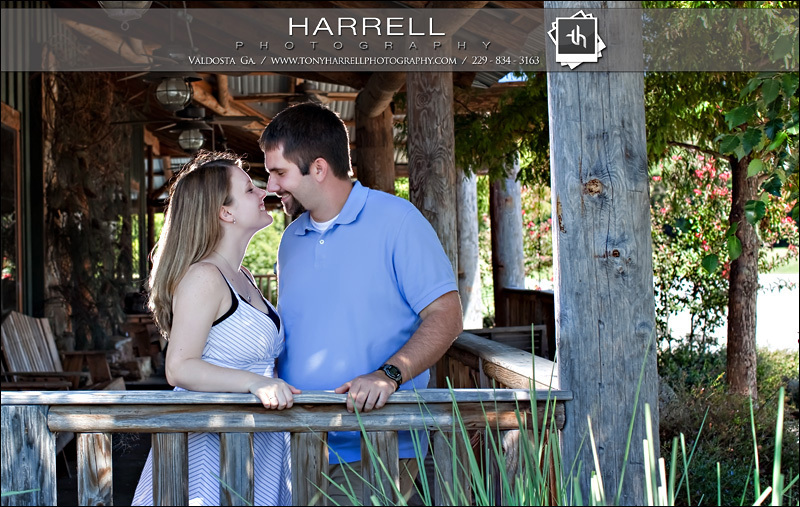 I’ve got to ask – who doesn’t love an “about to smooch” shot? Chillin’ in the middle of the busiest road in Adel. Seriously. A car or truck every couple of seconds. Who would figure? We had a great time guys! We’ll see you in November! Beautiful…but what do you expect of two beautiful poeple!! These are some wonderful pictures. My favorite is the highway one. CONGRATS guys! GREAT pics! You two are perfect! !